The Impulse-IQ technique is a chiropractic adjusting system that is the highest level of technology in the chiropractic profession. Inside the Impulse is a motion sensor (in the tip of the instrument) that determines how well your spinal joints are moving. In the base of the instrument is a computer which takes the information from the motion sensor and programs an adjustment (manipulation) specific to the spinal joint mobility. 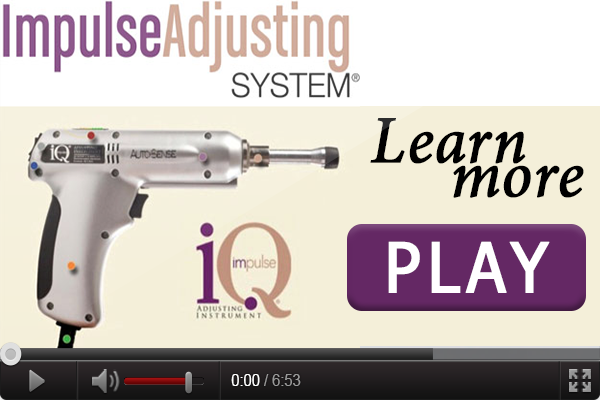 How does the Impulse-IQ adjusting system work? Once the doctor determines the area of involvement the instrument is placed over the vertebrae and it delivers a small impulse to the spine measuring how well the motion is over the spinal joints. If decreased movement or joint restriction is found over the spine, the Impulse-IQ will send the signal to the computer and it will program a treatment specific to you. The Impulse will begin to deliver a specific adjustment sequence until the spinal joints are moving correctly. Once normal motion is established in the spine, the instrument will turn off and the adjustment is completed. The vertebra are now released from restriction, possibly due muscle inhibition or other neurological factors, and subsequent nerve impingement’s are also released. 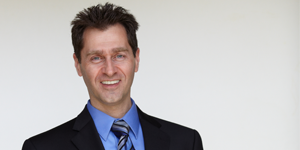 This will dramatically reduce pain and increase mobility in as little as one visit. More chronic conditions may need multiple visits to completely handle a problem. What does the Impulse-IQ feel like? The Impulse-IQ delivers a gentle low force chiropractic treatment that is very comfortable to the patient. It feels like a gentle tapping sensation on your back. The tapping can be at a fast or slow frequency, or it may vary; start out slow and then speed up during the session as your spine begins to move better. This frequency is set by the instrument and determined by your body. No two adjustments are the same. No matter what the frequency, the instrument is very comfortable and is safe for children and the elderly. Is there cracking or popping? There is no cracking or popping with the instrument. The instrument delivers a very comfortable tapping sensation over the treatment area. The Impulse-IQ not only helps correct neck and back issues, but it’s also very effective on other areas of the body such as the hip and shoulder. The Impulse is so gentle it can be used effectively over the jaw for TMJ disorders.